Is all concrete, Chris and I have pretty much given up on making it participate in any part of our home. Fortunately, it does come in handy during the summer months. 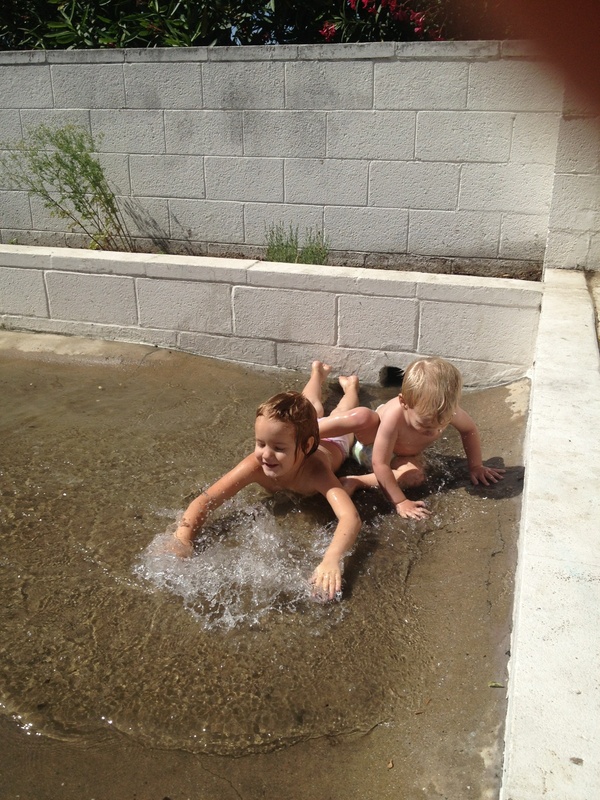 Fill that giant slab of dips and bowls with water and we have a non-committal makeshift pool for the kids to splash. Just enough water to last for the day and be gone by morning.